The former coffee chain chief is mulling a White House run. Democrats worried that would help President Donald Trump called for a Starbucks boycott. Schultz’s pro-China views could help sales there, but that’s one more reason his candidacy could backfire on the firm’s homefront. Former Starbucks Chairman and CEO Howard Schultz delivering remarks at the Starbucks 2016 Investor Day in Manhattan, New York, U.S. December 7, 2016. 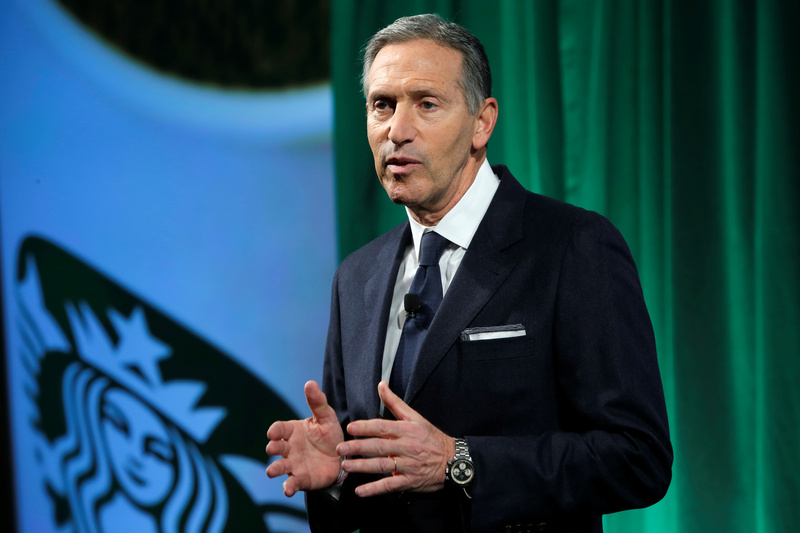 Former Starbucks chief executive Howard Schultz said that he is seriously considering running for U.S. president in the 2020 election as an independent, according to an interview that aired on CBS’ "60 Minutes" on Jan. 27. Schultz said he’s a “lifelong Democrat” but voters were tired of both major political parties. Prominent members of the Democratic party called for a boycott of Starbucks if Schultz runs as an independent. They worry that he could take away votes from the eventual Democratic presidential nominee and boost President Donald Trump’s chance of being re-elected.